I have a terrible story to tell with this restaurant review. As you all know, I've spent a year living in Taiwan and during the course of the year I've made many wonderful friends from all around the globe. Luckily enough, some of those friends were based in Vancouver and we've been hanging out ever since. 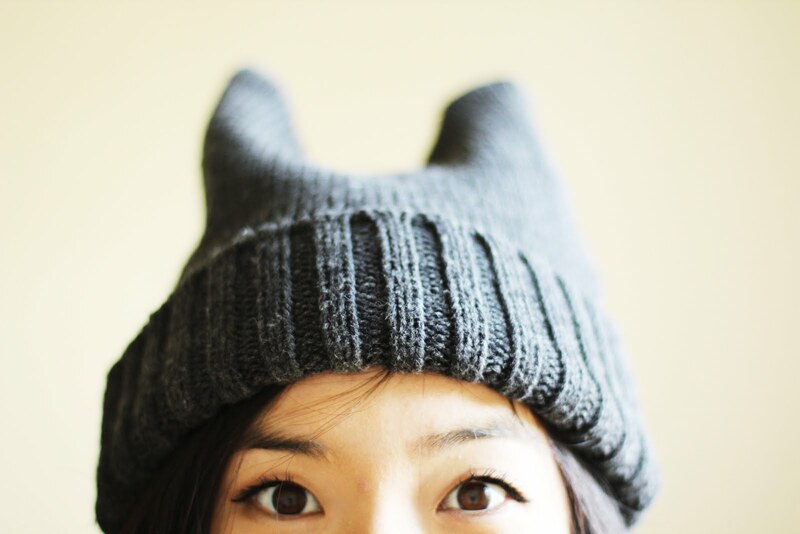 However, a friend from abroad had decided to visit the Vancouver chapter of awesome, but he became sick while visiting. Long story short, he wasn't feeling very well and asked us for a light and non-greasy place to eat. As the resident foodie what did I suggest? BANANA LEAF. One of the heavier and greasier restaurants in Vancouver. WHY. I am a terrible person. 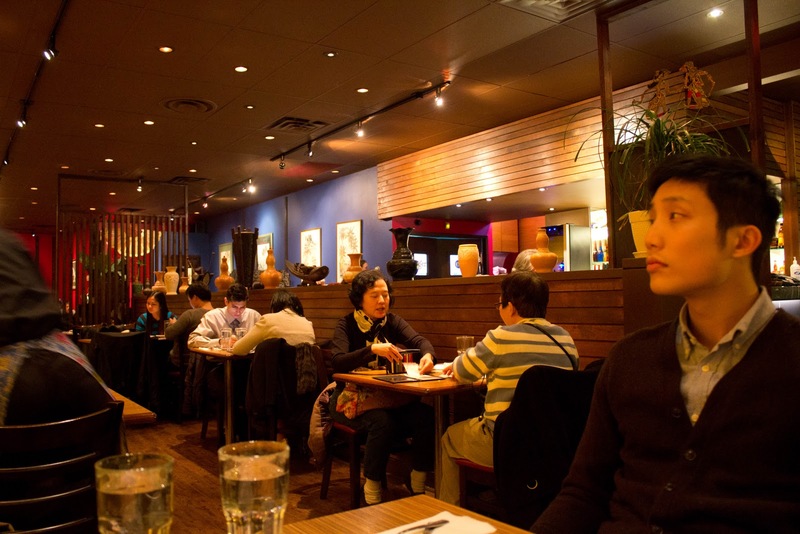 As with many of the places I've reviewed in Vancouver, I've been going to this restaurant ever since I was little. My parents are on friendly terms with the owner and I've grown up eating their roti. Although the waitstaff has long since changed, the decor, the food, and the bustling atmosphere has always remained the same. The decor of the restaurant is really colorful and casual. The waitstaff are attired in Malaysian inspired uniforms, the walls are painted bright colors, and there are a myriad of "artifacts" from Malaysia hung up on the walls and displayed on the counters. The waitstaff are all polite and courteous, but because the restaurant is always so packed and busy they may forget about you. Don't be shy in asking for refills of water! On the menu Banana Leaf says that "Roti Canai" is "the Indian community's greatest culinary contribution to Malaysia" and it just happens to be one of my favourite, favourite foods. 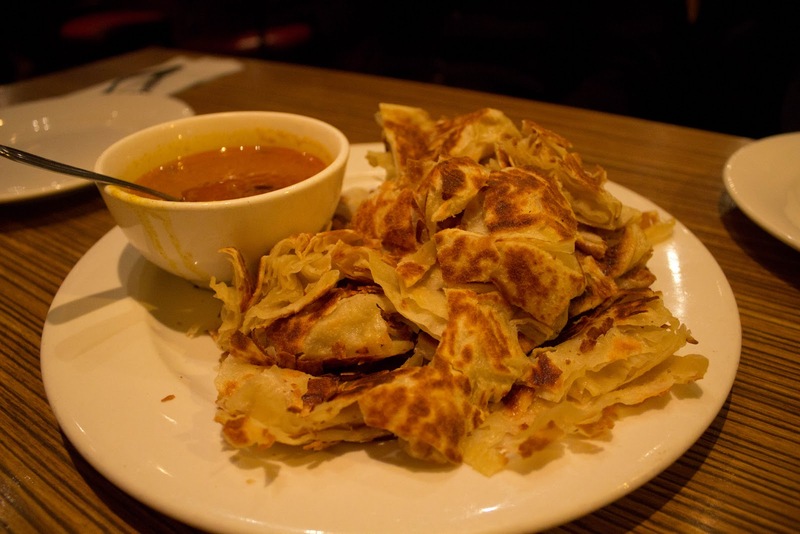 Roti canai isn't very "bread-like" in the traditional sense, but instead more like a delicious, thick, chewy crepe. The curry sauce its paired with has a very thin consistency and isn't very spicy. This dish is a mandatory order for my family. Something about the delicious carbohydrates and the thin amazing curry sauce just makes my heart melt. You see how the roti canai is all torn up for your convenience? I don't need that. I CAN RIP THAT UP AND EAT ALL OF IT BY MYSELF. The second appetizer my family always, always orders is satay. The simple, grilled, unassuming satay is declared on the menu as Malaysia's most signature stall food. Tender little morsels of meat that are marinated, skewered through, and lovingly grilled to perfection. Even though they look quite easy to make, mastering the art of creating the perfect satay is deceptively difficult. 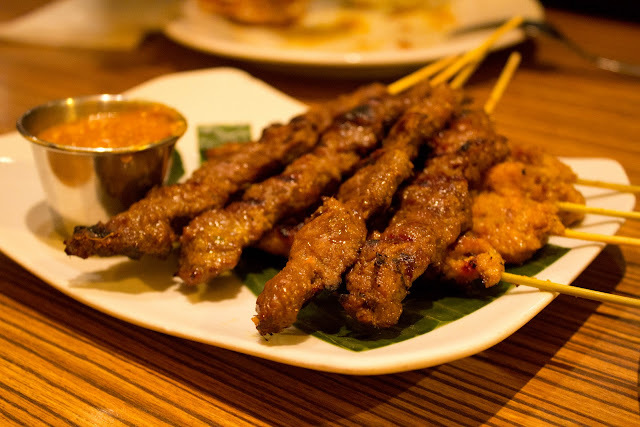 Since the pieces of meat are so small, its difficult to cook the satay "just right." Oftentimes, restaurants over or under cook the satay just leading to a terrible eating experience. Some restaurants even "cheat" when it comes to satay and boil the skewers first. This is a big no, no. It kills the flavor and alters the texture of the meat. From my experience the satay at Banana Leaf has always been grilled to perfection. The meat has always been tender and well marinated. The flavors of the skewers lean towards the sweet side and the flavor is counterbalanced by the spicy peanut sauce they're paired with. Always a staple and very delicious. My family have always ordered this dish as well. It's like one of those situations where you've ordered an entire table of food....and then you realize you have no veggies. This dish is a mandatory requirement on my table, not only because it is an essential veggie dish, but also because its absolutely delicious. 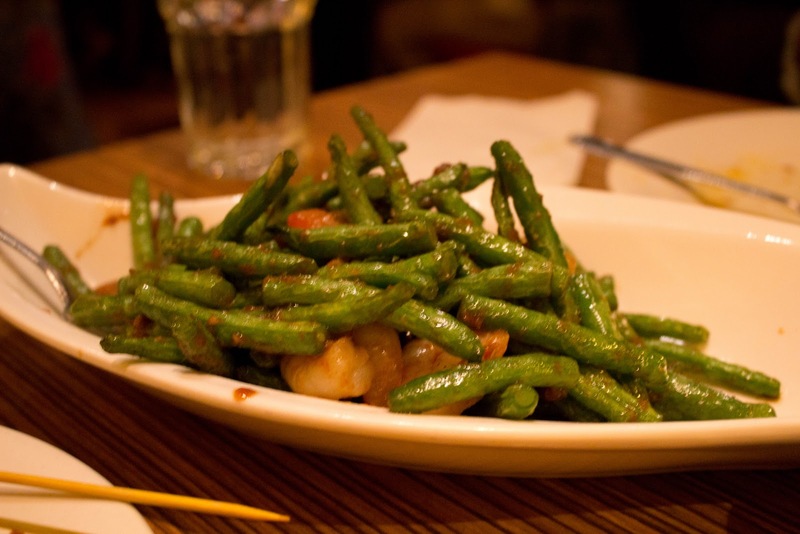 The stir-fried green beans have a really nice fresh crunchy texture, while the concentrated shrimp paste and garlic add a wonderful salty, savory flavor. In addition to the shrimp paste there is also whole shrimp and fresh tomatoes in the dish. All the textures and flavors meld together to form a nice stable, salty vegetable dish among all the sweet aforementioned flavors found in Malaysian food. As my dad was born in Singapore, his heart and stomach have an instinctual calling and craving for Hainan Chicken. 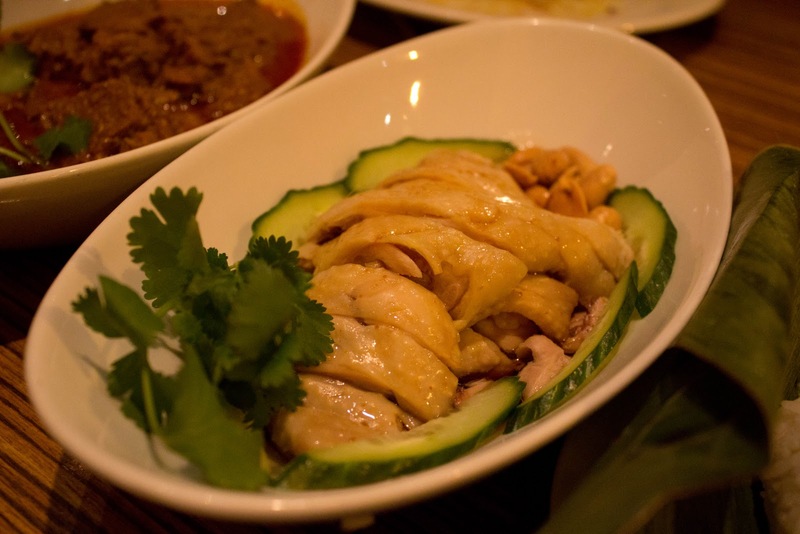 At Banana Leaf you are given the options of ordering a quarter, half, or whole Hainanese chicken. Although I have a slight feeling that Banana leaf doesn't prepare the chicken in a "traditional way", which is very time-consuming and laborious, it is so, so, so good. Traditional preparation involves slowly simmering your chicken, on the lowest heat, in a broth of chicken and pork bones, and topping off the broth only when needed in order to concentrate the flavor, up until the chicken reaches the correct internal temperature. Mmmm. As I said the chicken served at Banana Leaf is especially tender and flavorful. Although its served cold I'd still order it on a rainy day because its so delicious. However, I have a feeling if you order a quarter of Hainan Chicken you'r more likely to get a higher ratio of majority bone pieces to meat pieces. One thing that you have to do when eating Hainan chicken is that you must dip them into the sauces they give you. No Hainan chicken experience is complete without it. They give you the option of three sauces: the first is a thick, sweet soy sauce based dip, the second with shredded ginger, green onions, and oil, and finally the third with sweet, spicy, chili. One of my friends totally ruined this dish for me. Now I'm going to ruin it for you too, but first I'll tell you all the pros of this beef curry dish. First of all it's spicy, not like melt your face off spicy, but it certainly was the spiciest dish we ordered on the table. The beef was very tender and soaks up a lot of the coconut, curry spice flavor from being boiled so long. 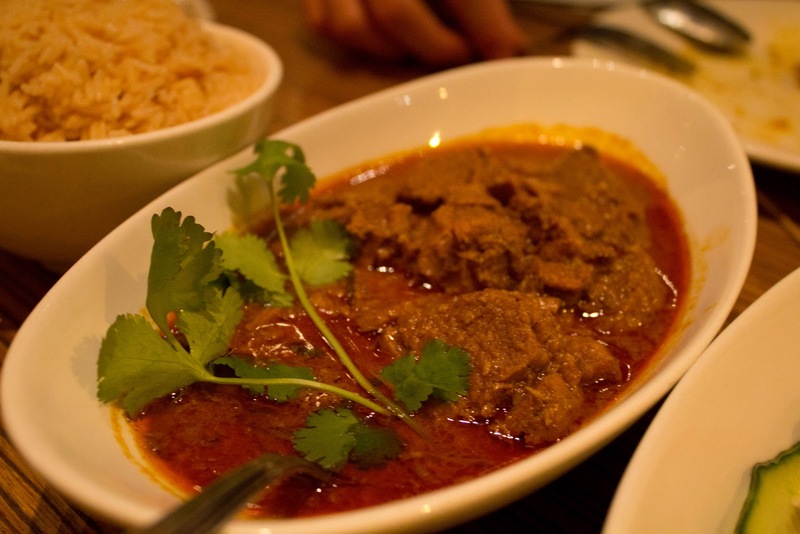 However, I feel that the larger pieces of beef in the curry end up....sort of just being...lumps of beef. If the chunk of beef is too large, I find that the curry flavor doesn't have the ability penetrate into the interior and instead relies completely on the curry sauce to impart flavor. This dish isn't "mandatory" for me, but if you want some curry or protein this is pretty ok. The Mee Goreng, surprisingly, isn't always the noodle dish my family orders, we usually order the Chor Hoh Fun, but my friends and I wanted to try something new. 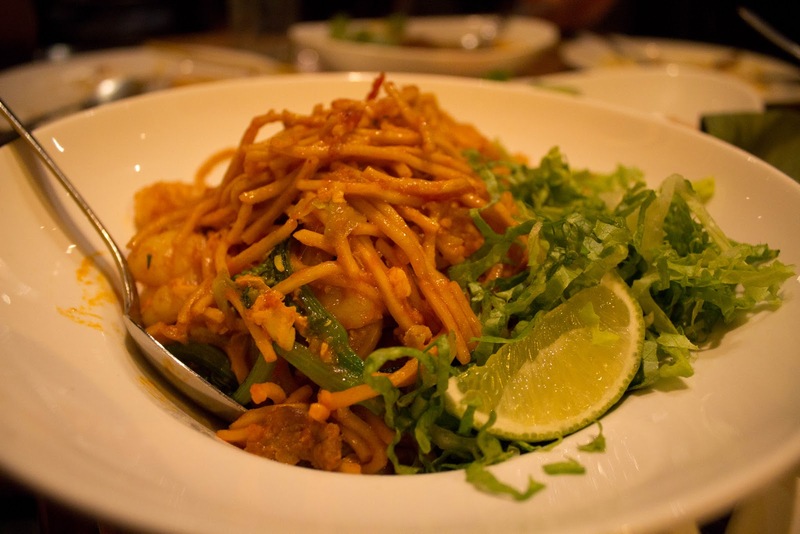 Mee Goreng consists of fried Malaysian egg noodles with beef, egg, shrimp, tomato, bean sprouts, choy sum, and tofu. However, I'm allergic to bean sprouts and my friends were kind enough to let me tell the waitress to omit them from this dish. Overall my impressions of the dish were good, the acidity from the lime, bit of the noodles noodles and the tartness of the tomato made for an addictive mix. I feel like I enjoy the Chor Hoh Fun better, but I would be more tempted to order the Mee Goreng. Now for the more "boring" stuff. Rice choices! 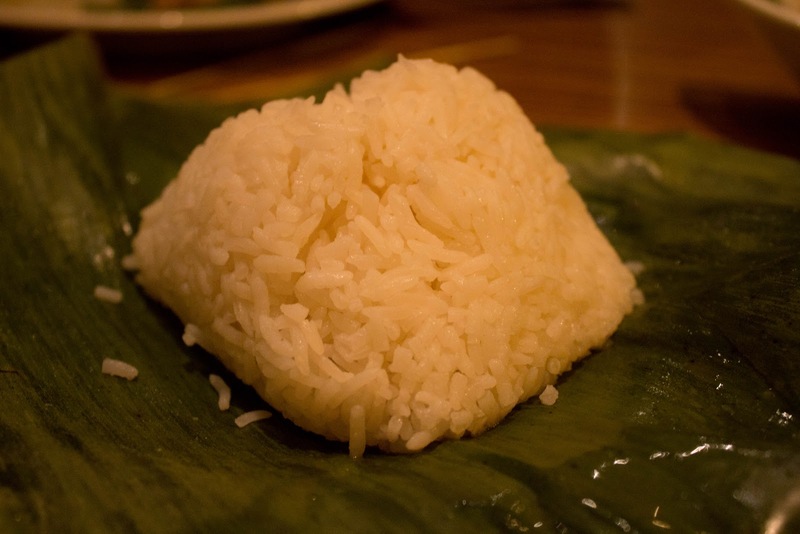 Usually this type of rice is served as a side dish to the above mentioned Hainan chicken rice and that's probably where it got its name from "Hainanese Chicken Rice". The rice has been imbued with the oil and flavor of the Hainan chicken. 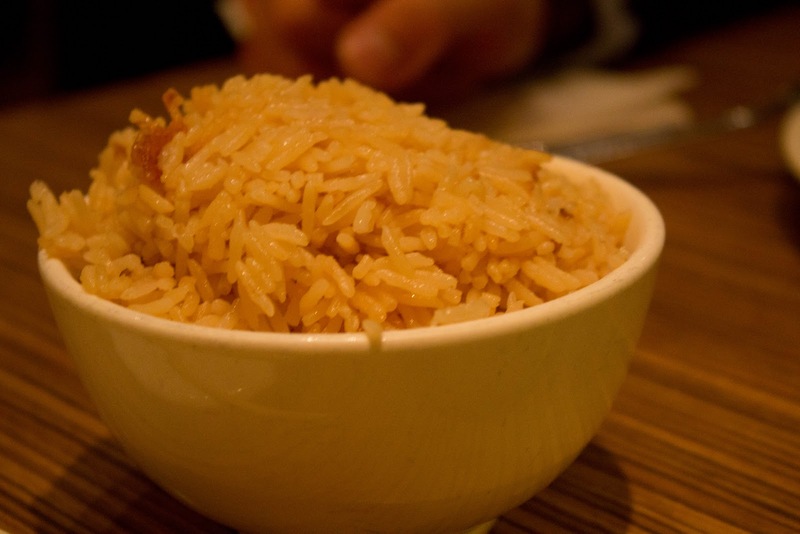 The rice is created by using a different soup stock than the chicken was created in, resulting in a slightly oilier rice and a highly concentrated chicken flavor. In fact, I think in some places chicken rice is known as "oily chicken rice." Kid Friendly: Yes! They have highchairs and booster seats. yummy malaysian food. have you been to malaysia? @Joey Yay! I'm glad! I was all nervous before posting this....I was like "Joey KNOWS WHATS WHAT." I'm glad I lived up to your standards!!! I know it's long, but the recipe I followed, it ensures that I get the pure chicken essence from the chicken and also the rice will be extra yummy (tho terribly unhealthy). Did you know that you can shorten your urls with Shortest and receive dollars for every visitor to your shortened links.